Discussion in 'Reviews and Articles' started by j0k3r, Jan 12, 2008. You're a trend setter, you ignored the haters and now you are wondering how to speed up your Vista box to make those haters eat crow. If you're anything like me, this is how your Windows Vista experience has been thus far. You fell in love and installed Vista, you can't get enough of each other, you spend every waking moment together. We call this the honeymoon phase. You start to notice Vista's imperfections, maybe even calling her fat and bloated, and you may even start to regret your decision. You think about giving up and going back to your old love, Windows XP. You begin your midlife crisis. You find this guide and begin to recognize your own faults and even begin working together to improve your desktop experience. Now you're in it for the long haul. 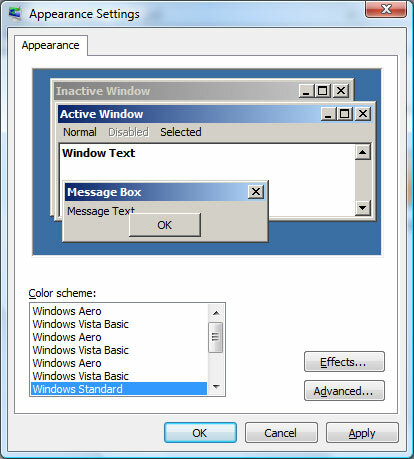 Now, you truly love Windows Vista, and will stand beside her in all her tweak3D out DirectX 10 glory. A lot of the same tweaks apply to Windows Vista that did to Windows XP. Because the focus of this article is Windows Vista, I will provide a list here, but won't go in to any great detail about the settings. Your page file should be a static size (same min and max size), and preferrably on a separate hard drive from your operating system. 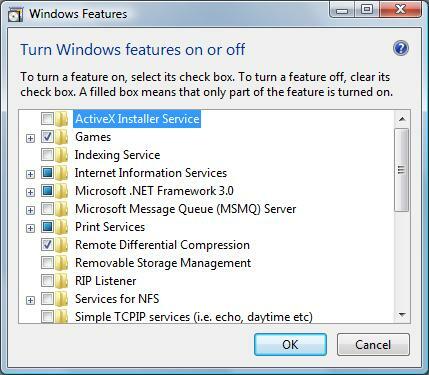 Turn off any Windows services that you don't require, and disable any start-up programs that aren't necessary. Don't use memory scrubbers! Windows XP and Vista's memory management is far superior than many believe, those memory scrubbers are a cause of inefficiency, don't use them. Disable any unnecessary devices in the BIOS. Does your motherboard have Bluetooth? Wow, that's awesome. Are you using it? If not, turn it off. Make sure you have appropriate drivers for your hardware, and it doesn't hurt to stay up to date. This is especially important in Windows Vista. Visit Windows Update often. In addition to the added security, Microsoft has released several performance increasing patches for Windows Vista. RAM, RAM, RAM. The more the merrier. One of the primary focuses of Windows Vista has been security. User Account Control is one of the main security features of Windows Vista. You will often hear Linux users bashing Windows users for always running as local administrators. Indeed, this is one of the very reasons malware can be so easily installed. It's running with your ADMIN privileges! If you would like to rid yourself of these prompts, be aware that you are disabling a key security feature of Windows Vista. User Account Control will now be disabled and you will not be presented with any more UAC prompts. These settings will vary depending on how you use your computer, so make sure you familiarize yourself with the options before disabling them. If you have a question about a specific component, feel free to ask in the forums. Windows Aero looks really cool and adds some flash to the desktop, but that's all it does. Depending on your hardware, you will receive a pretty significant boost in performance if you turn it off. If you have the hardware to handle it, turning it off will be a negligible change. If your RAM is 1GB or less and your video card is not a DirectX 9 compliant card, it is highly suggested that you disable this feature for the best performance. As for me, I like it, I leave it turned on. If you like it as well, the good news is, there are some tweaks for you. Keep an eye out for part 2 for more in depth Aero tweaks. Windows Sidebar is, as the name applies, a bar along the side of your desktop that holds a set gadgets. The gadgets include newsfeeds, resource monitors, notepads, weather, etc. There are many useful gadgets that you can download and use; however, many of the gadgets use up precious resources. The sidebar can be turned off to free up those resources. This concludes part 1. Hopefully these tweaks will have your Windows Vista install singing pretty. Keep an eye out for part 2 where we will take a deeper dive in to the operating system. We'll explore some registry tweaks, policy edits, and more. Thanks for sharing this guide. I was pretty unfamiliar with a lot of the ways to speed up Windows Vista before reading your article and will definitely give some of these a try on my brother's notebook. The sheer amount of bloatware that comes on modern PCs *coupled* with Vista's arguably obese footprint make this sort of guide a necessity. I <3 Vista...OEM's should be shot though. I've never seen more bloatware than I have recently. I plan on doing this under VMware but also along with nlite to get rid of a large amount of junk. Thanks HS, I'm familiar w/ the hardware and run a pretty good system but on the software end I'm as ignorant as can be. I hesitated to install vista, I bought a copy, Vista 32 Home Premium, which sat on the desk for 2 months. When I finally installed the first thing I did was turn off the UAC. That in itself made this OS as snappy as XP (IMO) with the aero and sidebar on. These two items and the slightly different "interface" (correct word?) are the reason for buying Vista for scmucks like me in the first place, I haven't the DX 10 vid card yet. I did as you suggest with the page file, put it on my second hard drive and I wonder, with 4 gigs of ram does the page file even get used? Sorry jok3r, don't know what made me think HideousStrength wrote this, any updates?